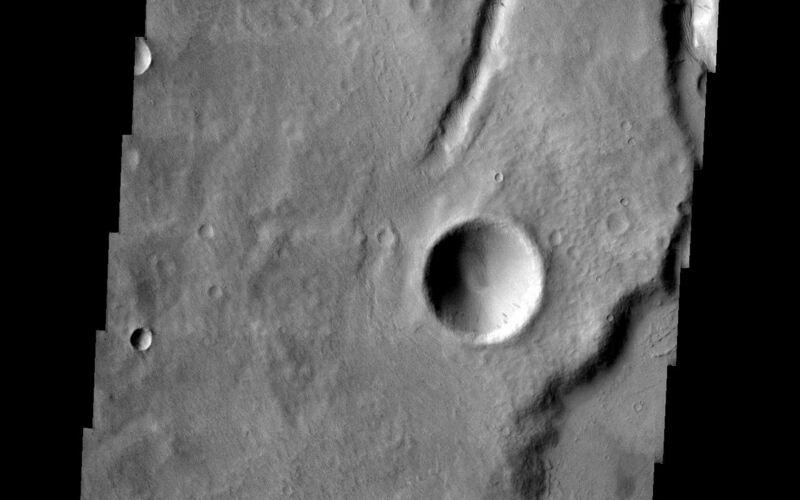 The channel shown on the image is part of the Tinia Vallis region. It was collected July 11, 2002 during southern autumn season. The local time is 4pm. The image shows a small channel with a delta. 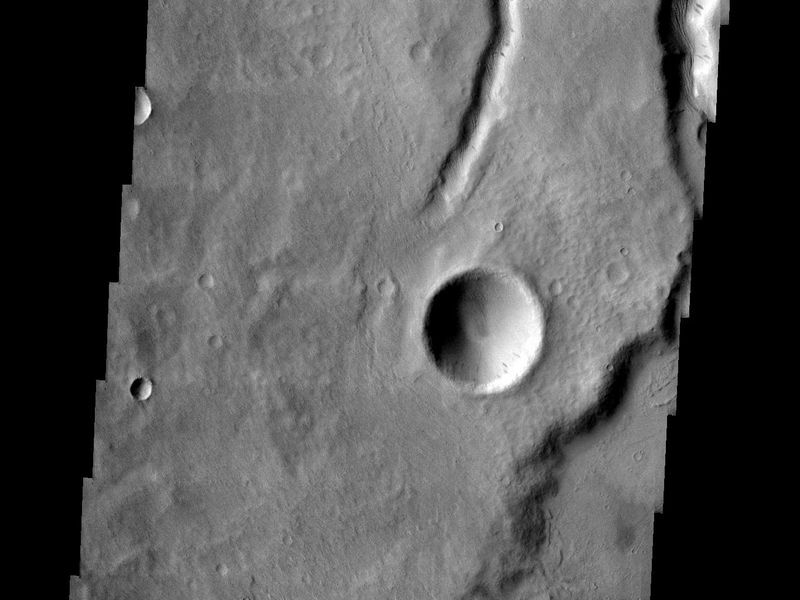 Image information: VIS instrument. Latitude -4.8, Longitude 211 East (149 West). 19 meter/pixel resolution.